Give your cat a toy and a post to play on and stay active throughout the day. Made with rattan wicker in natural and brown colors and brown faux fur. 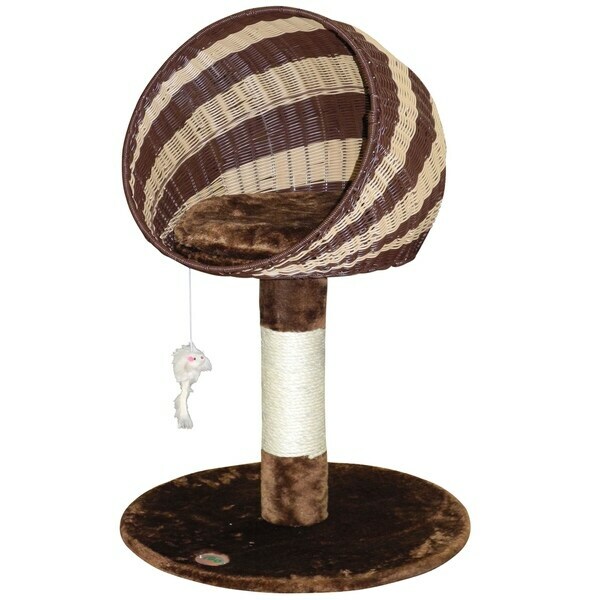 The partially covered cat perch will give your feline friend a cozy spot to nap in. "What is the length of the bed inside? Front to back, and side to side of the bed itself? Thanks!"